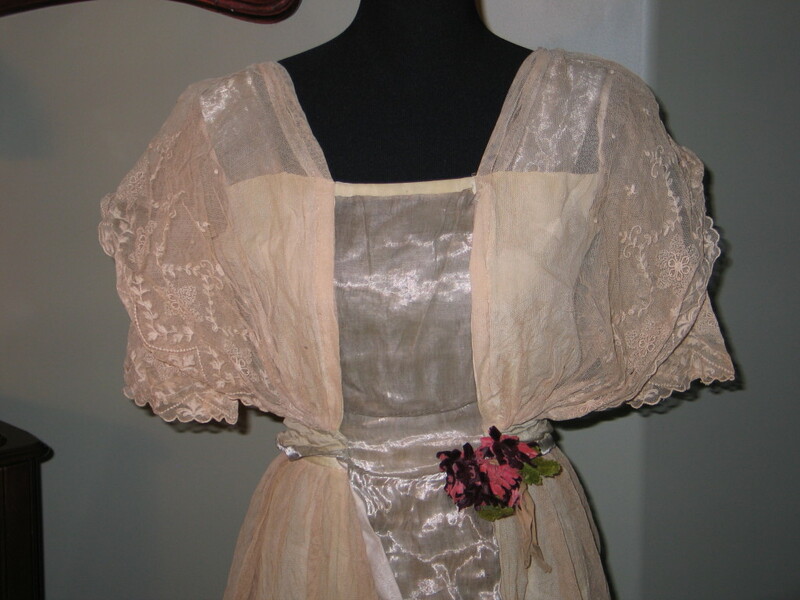 This auction is for one beautiful Edwardian dress. 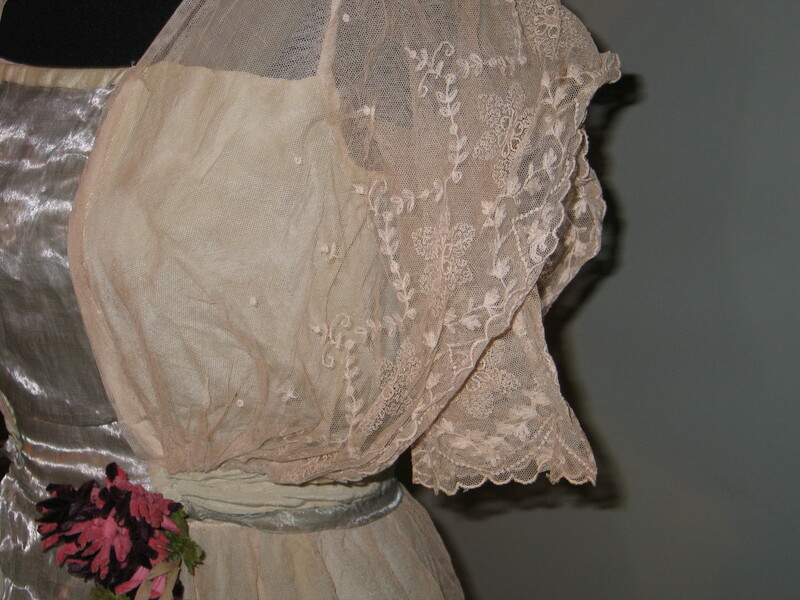 This dress is made of delcate french tambour net lace in a ivory color and is it in amazing condition. 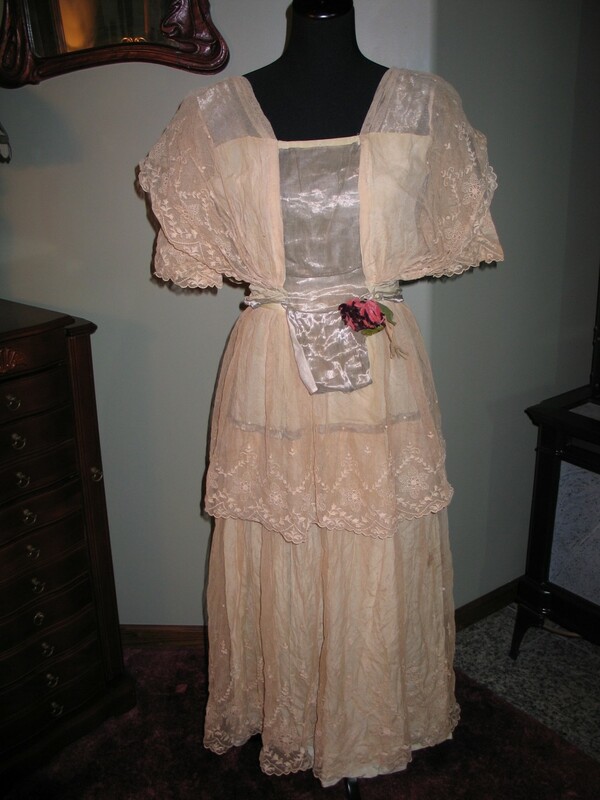 This lovely gem would be perfect as a wedding or bridal gown for someone who is looking for an antique "ONE OF A KIND" dress for that very special day. 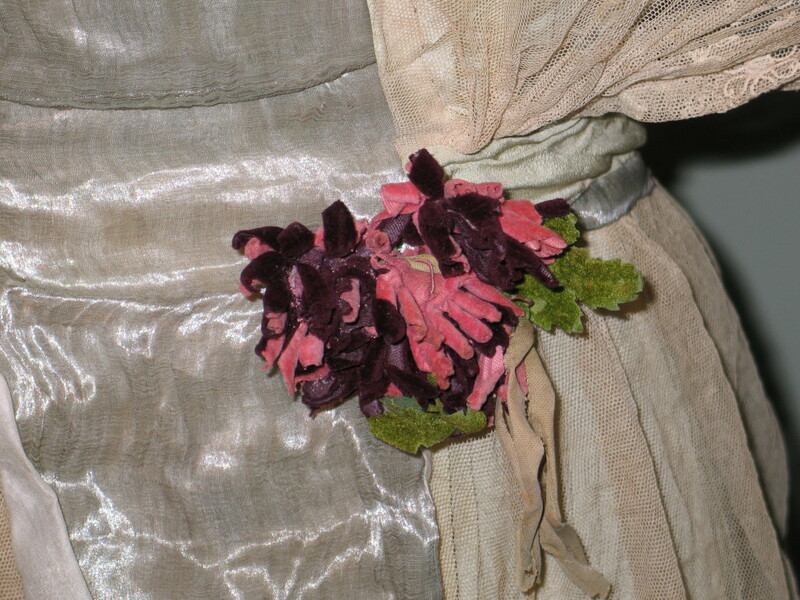 There are 2 layers of very beautiful french tambour lace for the skirting, 3/4 sleeves, the original velvet fabric flower is pinned at the waist, there is a silver lame fabric insert on the front and back bodice. 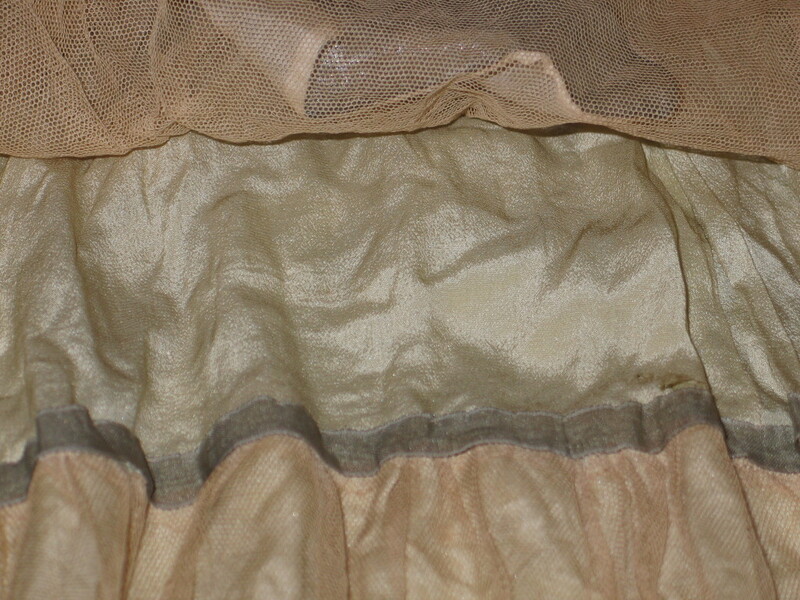 The dress is lined in a cream colored silk & cotton batiste, there are a couple small storage spots on the lining. 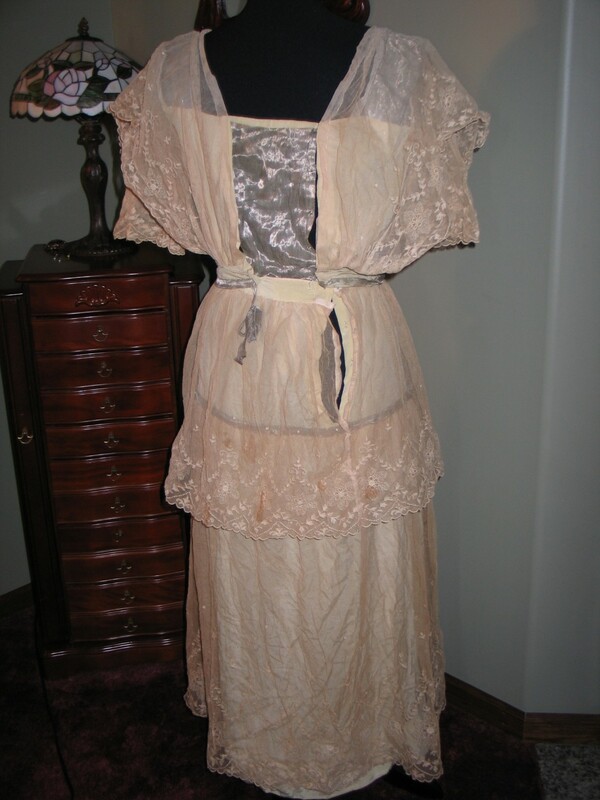 The back closes with snaps & eye hook closures. 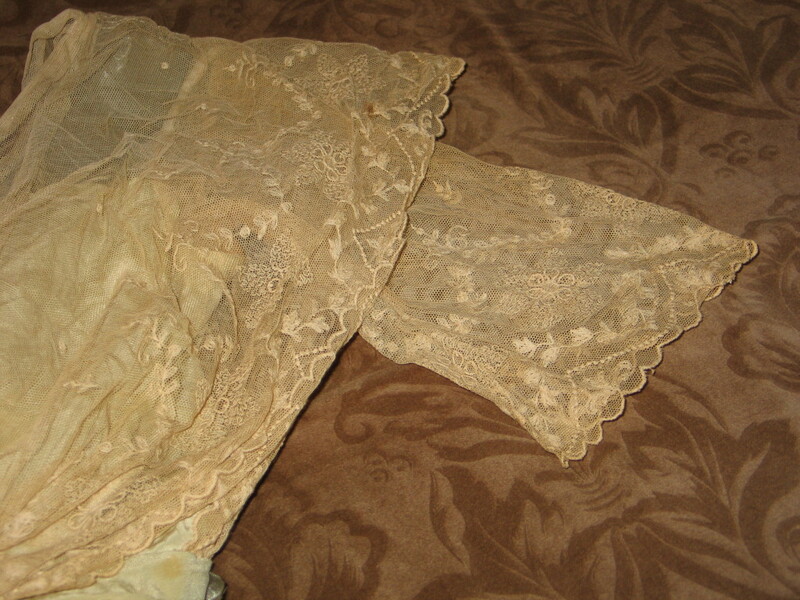 I could not find any breaks in the lace only a couple of storage spots (as shown). I have not laundered this lovely gem, I will leave that to the lucky winner. 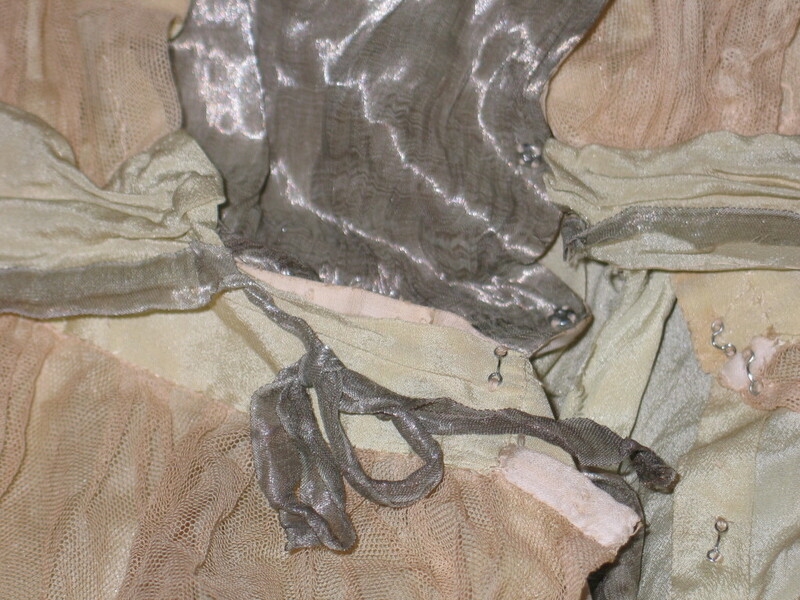 This dress is structurally sound~it is in excellent wearable~displayable condition. The photos just do not capture the true charm of this lovely gem. I will be happy to supply more photos upon request. 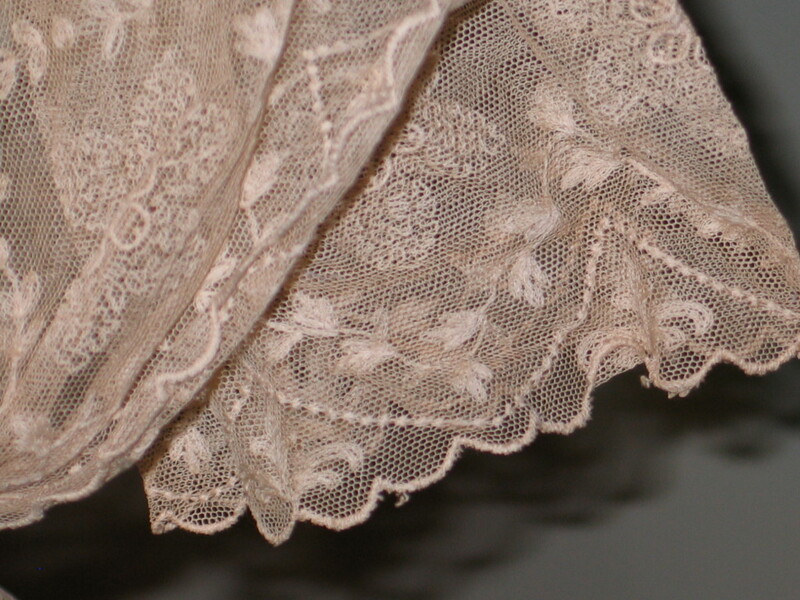 Measurements~ Bust~ Arm Pit to Arm Pit 16" Waist ~ 12" (these measurements are side to side flat across) Shoulder to Hem ~ 48"
I really love the nice silver background for the lace. Imagine how this would shimmer as you moved!